Happy New Year. If you live in a part of the world that follows the traditional Gregorian calendar. January 1 has always seemed like an odd place to put this particular dividing line. The Romans and other ancient cultures positioned the start of their calendars in the spring when nature seemed to be waking up from the winter. March 1 would be more hopeful date following a hard winter. Of course all of that is based on the Northern Hemisphere, Eurocentric view of the world. Just imagine how celebrating the start of a new year would be different if we were using a calendar created in another part of the world. I’ve lived and worked most of my life in an academic calendar, so somewhere around September 1 was more the start of a new year than today. This point has always been a welcome break before continuing with the second half (more like two-thirds) of the year. But, if you think about it, midnight last night was just an artificial dividing line anyway. Today is really not different from yesterday (unless you’re a tax accountant). We divide life into chunks – months, quarters, semesters, years – for convenience and consistency. Life itself flows rather than restarting at particular intervals. Many people use the start of the new calendar as motivation to make major alterations in their lives: eat better, exercise more, develop better habits. Not me. Certainly not because I have nothing that needs improving. The list seems to grow as I get older and more critical of myself. However, I’ve lived long enough to know that big changes, executed on a fixed schedule rarely work. For most of us, New Year resolutions are largely abandoned before Groundhog Day. Better to set goals for ourselves whenever we realize they’re needed, and then make smaller course corrections as required. Like on New Year’s Day. Anyway, thank you for reading to the end of this random ramble. Let’s all make the next collection of 365 days better than the previous one. 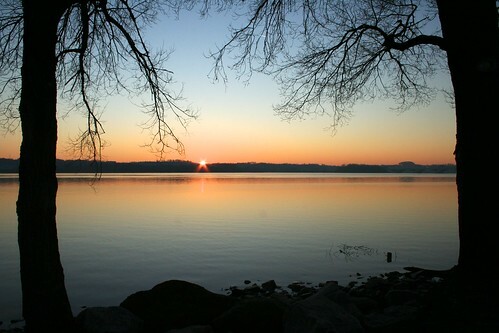 The photo is of the sun rising on the Potomac River, as seen from the Alexandria waterfront, January 1, 2012. Next week the year in Fairfax County1My former employer and formerly known as the overly-large school district in this space. comes to an end, with students beginning a nine week or so summer break. This will be the first time in many, many years that I will not be directly involved in closing schools for the year. And I have absolutely no feelings of loss or nostalgia. None. I will not miss it. At all. The whole process of closing schools in the spring (around here it’s more like early summer) and opening them again a few months later always seemed like a huge waste of time, money, opportunity, effort – whatever you got. In fact, I suspect most staff in the high schools I worked with have been packing up and doing a lot of reviewing for final exams since standardized testing ended. But it’s not all about those inefficiencies. The traditional open-in-September-close-in-June calendar (plus or minus a month or so) used in most American K12 schools reinforces several very bad educational practices that need to go. Starting with the concept that knowledge comes neatly packaged in 180 day chunks, and that kids also advance in their learning uniformly over those same 180 days. Now I’m not one of those who believe we need a longer school year or that more time in the classroom will magically fix all education problems. Instead I’m suggesting there are many opportunities that would come from spreading the time we have more evenly. Something like ten weeks in school with three week breaks. That approach would allow changes like more flexibility in scheduling and grouping students by factors other than age. The revised calendar could also lead to faster remediation for kids who need it (as opposed to pushing it off to an almost equally worthless summer school) with less “learning loss” from excessively long breaks. Plus other advantages like regular time for professional development. Yes, I know this idea won’t be popular with those parents and others who consider the summer break as a tradition passed down on tablets (don’t believe that origin myth). Or the tourist industry who count on a large audience for those few months. Everyone will adjust. However, if American schools are ever going to progress from the 1950’s, Leave it to Beaver model to one more suited for the age of ubiquitous information and instant communication, the traditional calendar is one of the first things that has to go. Nothing about why 990 hours.2990 seems to be the number that other states, including New York and Massachusetts, have also settled on.Â No references to research showing that to be the ideal amount of time for student classroom learning in a 12 month period. It’s been quiet recently here in Lake Wobegon the overly-large school district. 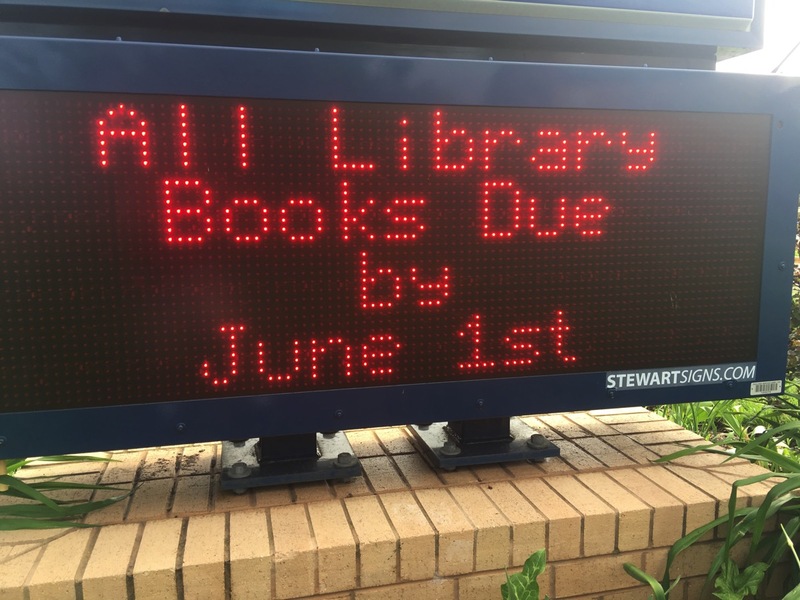 Because, of course, it’s July, with most teachers and students on their far too extended summer break, a monumental waste of time, money, energy and learning that I was planning to write about once again. However, rather than inflicting the web with yet another rant on the subject, go read A Teacher’s Case Against Summer Vacation, a better and certainly more concise argument for making much needed alterations to our archaic academic calendar. As she points out, we hold on to our current system1 largely due to tradition and emotion, and despite much evidence that it is actually detrimental to learning for many kids. Or at least to the type of student learning we most value, that assessed on standardized tests. However, this not about increasing school time, just rearranging it. Taking the long summer block and spreading the still very much needed breaks more evenly throughout the year. Allowing for family vacations and assorted kid camps in other months, regular building maintenance, embedded professional development time for teachers, and remediation for students who need it when it will be more relevant. Like this writer, I’m also puzzled why this kind of calendar change is not a big part of the education reform discussion. Maybe it really is just too simple of an idea. Or maybe a new approach to school time like this never occurred to the politicians and billionaires leading the debate because it doesn’t contribute larger profits to owners of charter schools, standardized testing creators, or the many vendors of Common Core “solutions”. 1. Which, contrary to popular folklore, does NOT have agrarian roots.